Cannabis stocks are booming and a Canadian marijuana company Cronos Group Inc. has just been listed on the NASDAQ … What’s next?! This historical moment is not surprising, as the recent changes in marijuana legalization not only in the U.S. but across the globe have spiked pot sales leaving soaring profits behind. Today, you’ll find that right here at home in America, California’s recent recreational re-classification changed the weed game – for real! According to sources, cannabis companies have added nearly $2 billion in value since the marijuana dispensaries in California opened their doors to recreational customers on January 1, 2018. Since the beginning of this year, all California residents have been allowed to carry and use up to one ounce of marijuana as long as they are 21 years of age, or older and hold a valid state-issued ID. The surge in cannabis sales that accompanied the change from medical use to recreational purposes in California was a big one, but there are many other places that also were added to the list of newly weed-legal places, all over the world. As you may have guessed, there was also a rapid increase in the value of stock in cannabis companies. Marijuana stocks aren’t just enjoying considerable growth in the United States anymore. A a recent spike in Canadian pot stocks has caused a split in the psyche of analysts. Optimists see this as the beginning of a tremendous growth spike in the sector while others see it as a bubble pre-destined to burst at any moment. This tremendous growth could be in hopes of the plant being legalized in the North American country this summer. Investors are hopeful that such legislation could lead to even bigger profits by the big 3 and other smaller pot based businesses. Who are Canada’s top 3 marijuana heavyweights? Canopy Growth, Aurora Cannabis and Aphira Inc increased in value by over 200 percent in 2017 with a combined valuation of close to $15 billion according to sources. These big gains from 2017 appear to be lingering into the new year and one of the companies, Aurora is spreading its seeds across European countries and will be supplying medicinal cannabis to Italy’s government. When there is prosperity there will always be skepticism, however. Although the 3 companies mentioned in this article are valued near $15 billion they only had $110 million in revenues last year – combined. There is no doubt the valuations are based on the upcoming legalization of marijuana in Canada, which should help bring in more cash in the years to come. The 2018 projections expect weed to capture up to $6 billion according to the Budget Office in Canada’s Parliament which doesn’t quite equal the valuations of Canopy, Aurora and Aphira. The market could greatly be affected by delays in the upcoming legalization process, consumer spending and mergers and acquisitions within the business segment. 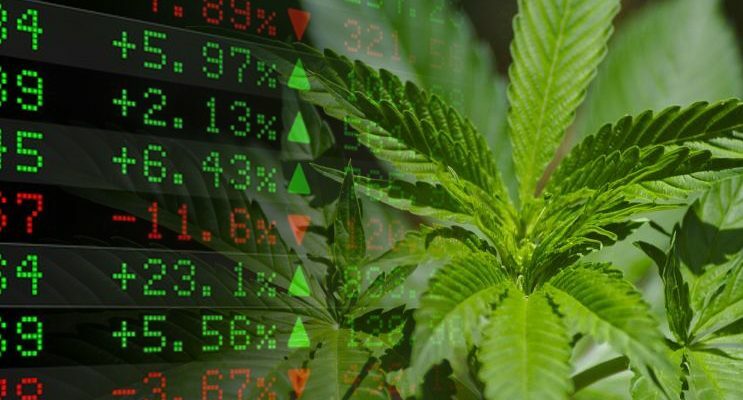 While the potential of cannabis stocks defiantly seems appealing, it is always recommended to have a diverse portfolio of stocks, bonds, mutual funds, retirement accounts and hard assets. Companies at the forefront of any perceived market boom tend to over value their business to bring attention to themselves. Regardless, Canada is seeing healthy gains in the cannabis business whether or not the government makes it legal for recreational use. Will the Upward Trend Continue? With so many companies grabbing for a piece of cannabis’ booming profits, only time will tell who makes out with the most. But if you want to get in on the green rush yourself, watch out for these potential dangers. If the government meets the legalization goal of summer 2018. There may be delays. Do sales keep up with the projections? How many cannabis companies are actually smaller ones absorbers into a larger one? 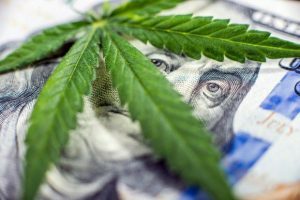 Which are the best cannabis company stocks to purchase? With so much money being made by cannabis companies, stockholders are also seeing the benefits of the green rush! But will it keep going at this pace? Well … while there is no way to say for sure that cannabis stocks will continue to be profitable in the same impressive way we have seen recently, the fact is that in July 2018, Canada is set to become the second nation after Uruguay to legalize recreational marijuana. And in the meantime, Massachusetts is also preparing the way for recreational marijuana sales in July as well. However, California’s recent recreational marijuana sales are still illegal under federal law so as usual, the weed game remains a mystery.